ScienceDaily is one of the Internet’s most popular science news web sites. Since starting in 1995, the award-winning site has earned the loyalty of students, researchers, healthcare professionals, government agencies, educators and the general public around the world. With roughly 5 million monthly visitors worldwide, ScienceDaily reaches a global audience. Launched in May, 1999, China.com is one of the earliest Web portals in China. After 18 years of growth and development, China.com has evolved into the most profitable online platform for businesses in China. 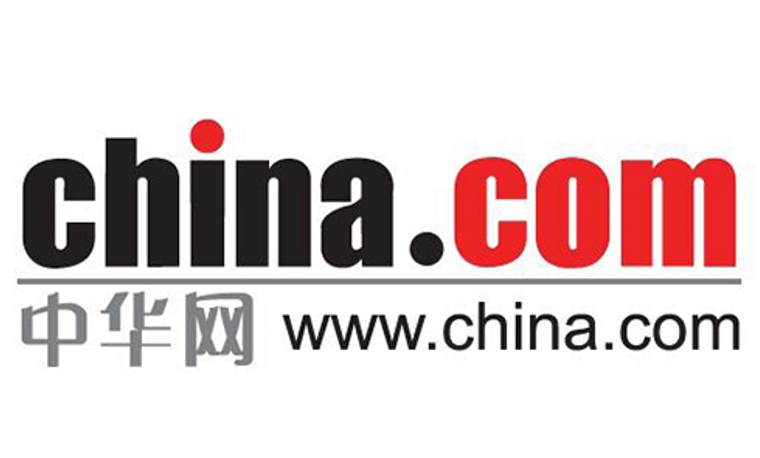 Being one of the country's most influential online media outlets, China.com boasts at least 10 million regular readers. Among them, 82 percent are well-educated, mature males with high-end jobs and high incomes. Statistics show that the recharging of electric bicycle batteries, which contain large amounts of combustible materials, caused 799 fires between 2011 and 2013, causing the deaths of 95 people and injuring 58.There are 250 million electric bicycles on road in China, and many users recharge the lithium batteries used to power the bikes in corridors and rooms in apartment buildings. Should one of the batteries catch fire, the toxic gas it produces can fill an apartment room in 30 seconds.To make things worse, many people string electric wiring themselves in a casual way along the corridors of residential buildings so it is more convenient for them to recharge their electric bikes. In the event of an emergency the bikes also block the escape way. "250 million electric bicycles on road in China"
It is our mission to inspire island travel. Islands.com presents the multimedia information to make those travels happen. Rich in gastronomy, outdoor adventure and Mayan culture, even a day or two on Cozumel, an island off the coast of Mexico’s Yucatan peninsula, is an unforgettable experience. The island is easy to navigate by car or bicycle, with plenty of shopping and dining options downtown. But explore beyond the well-known areas and the experience deepens, as the island is largely undeveloped, with swaths of beaches that are home to some of Mexico’s best scuba diving and snorkeling. Here are 10 things to do in Cozumel, whether you're visiting for a day or a week. The island’s winding, paved roads are a dream for cyclists, especially when paired with sea views. Give your legs a rest by hopping onto an electric bike with Pedego. The company’s three-hour East Coast Scenic Road Cruise tour explores the island’s eastern coast. Can Californian Cities Make Business Sense of an Electric Bike-Share System? GopressMobility is a daily (5/7) news service from Belga News Agency® and GoPress® with focus on the most important news within the mobility and automotive sector. It's tailored specifically to suit professional needs of managers and business leaders. On Thursday the Council of Ministers decided that the compensation employees get from their employer for using a speed pedelec for their home-work traffic, will be free of social security contributions. The possibility of 120% fiscal deduction for the speed pedelec was arranged by the Belgian Parliament in October. Speed pedelecs are electric bicycles able to reach speeds up to 45 kph and were regarded as mopeds instead of electric bicycles before. Crosscut.com is a nonprofit, online newspaper based in Seattle, Washington, United States. Crosscut's stated purpose is to "produce journalism in the public interest" like ebikes. Its content is mainly news analysis rather than breaking news like other online newspapers or blogs. Seattle’s new, more casual bike-share programs, Spin, LimeBike and Ofo, seem to have caught on. One fun thing to note from the expo: While the 1960s promised us Jetsons-style flying cars — a promise that thankfully has not yet materialized — the Czech Republic Pavilion exhibited an actual working flying electric bike. Its speed and distance are limited, but who knows what will be possible in the future? The New Paper was Singapore's second-highest circulating paid English-language newspaper before it became a free newspaper in December 2016. First launched on July 26, 1988, by Singapore Press Holdings (SPH), it had an average daily circulation of 101,600 in August 2010, according to SPH. But the newspaper's average daily sales had dropped to 60,000, according to Warren Fernandez, Editor-in-Chief of the English/Malay/Tamil Media group of SPH, before it became a freesheet. Distributed free of charge, The New Paper aims to reach a circulation of 300,000, matching Today, the other English-language free newspaper in Singapore. Three electric scooters went up in flames in less than 10 hours yesterday, highlighting again the danger of personal mobility devices (PMDs) catching fire. The first fire broke out in an HDB unit at Block 114, Pasir Ris Street 11, at 1.40am yesterday. An hour later, another PMD-related fire occurred at Sembawang Park. No one was hurt in both incidents, the Singapore Civil Defence Force (SCDF) said in a Facebook post yesterday. At about 11am, the SCDF was alerted to a third fire at Falcon PEV, an e-scooter store at Delta House on Alexandra Road. SCDF officers put out the fire, and two men were taken to the Singapore General Hospital with minor burns. TNP understands that the men, aged 28 and 49, are employees of Falcon PEV. The SCDF said all three incidents occurred while the PMDs were being repaired. According to SCDF, there were 38 cases of fires involving PMDs from January to October this year, compared to 25 over the same period last year. Many of the fires occurred while the PMDs, many of them e-scooters, were being charged. Last month, a deliveryman was hospitalised with second-degree burns after his two-week old scooter exploded while being charged and set fire to his room in a 10th-storey Yishun flat. In October, a family with a five-day-old baby had to escape through their bedroom window after an electric bicycle caught fire while being charged overnight in the common corridor of a Bukit Batok block. Experts have said that cheap batteries, which tend to be of inferior quality and to overheat, could have caused such fires. MarketScale powers B2B marketing through content, data and strategy for some of the world’s leading brands. Located in Bank of America Plaza, in Dallas, Texas, our team is made up of B2B industry experts, creatives, writers, data analysts and account managers who help marketers reach their goals. With a history dating to 1883, The News Tribune today is the second largest newspaper in the state of Washington (in the United States... in the Americas... not to be confused with India...). The signature distinction of The News Tribune is how thoroughly it dominates the local news market of Pierce County in both print and online. Seattle newspapers and television stations and digital media do not come close to The News Tribune's status as the most authoritative source of local news. A: There is definitely a difference. Buckle up, the answer to this one’s a little complicated. My fav form of "motorized" vehicle... Only has one seat, but EVerybuddy gets one. Babcock Ranch is an approximately 17,000-acre (68.80 km2; 26.56 sq mi) planned community under development in Southwest Florida that was approved as part of a public-private partnership strategy with the State of Florida and local governments. The deal established the neighboring Babcock Ranch Preserve. Plans for the future town of Babcock Ranch were announced in 2005 by real estate development firm Kitson & Partners as part of a complex real estate transaction that facilitated the largest conservation land acquisition in Florida history. In 2009, the company joined with Florida Power & Light to announce plans to make Babcock Ranch the first solar-powered city in the United States. A large photovoltaic power station and a network of rooftop solar panels on commercial buildings, planned to be expanded over time, are intended to send more renewable power into the Florida electrical grid than the city consumes. Kitson & Partners have stated their goal is for Babcock Ranch to be the "world's most sustainable city". Construction got underway in November 2015 and the beginning of construction was celebrated on Earth Day 2016. The Naples Daily News is the main daily newspaper of Naples, Florida, and Collier County. Naples is a city in Collier County, Florida, United States. As of 2015, the city's population was about 20,600. Naples is a principal city of the Naples-Marco Island, Florida Metropolitan Statistical Area, which had a population of about 322,000 as of 2015. Naples is one of the wealthiest cities in the United States, with the sixth highest per capita income in the country. "We are fortunate to have outstanding building partners such as Florida Lifestyle Homes who share our commitment to environmental sustainability," said Syd Kitson, chairman and CEO of Kitson & Partners. "The electric bike and car offers are a creative way to promote the whole new lifestyle their buyers will experience at Babcock Ranch." EDIT: ... with bettery-electric traction, of course. Last edited by LockH on Dec 16 2017 11:09pm, edited 1 time in total. Japan Today, launched in September 2000, is a Tokyo-based online newspaper, featuring all the latest news on Japan and the world, including national, political, entertainment, ebikes, business, technology and sports news. Police plan to refer a 20-year-old female university student in Kawasaki, Kanagawa Prefecture, to prosecutors over a fatal bicycle crash last week, investigative sources said. The accident on Dec 7 highlighted the danger of using a smartphone while riding a bike as the student allegedly had a phone in her left hand at the time she crashed her electric bicycle into Akiko Yonezawa, the sources said. The student also allegedly had a drink in her right hand and an earphone in her left ear at the time she is suspected of hitting the 77-year-old pedestrian, who died two days later. Brinkwire is also an online entertainment and culture magazine. Established in 2015, the magazine is currently based in UK, and covers music, film, ebikes, television, sports and culture, technology and science. Our writers are based in the United States, the United Kingdom, and Australia. With 60,000,000 monthly views, TrendHunter.com is the world's largest, most popular trend community. Our head office is based in Toronto, Canada, and we are fueled by a global network of 100,000+ members. Trend Hunter, Trend Hunter TV and Trend Hunter PRO feature 200,000 micro-trends and cutting edge ideas. Hehe... this site lately FLOODED w/e-bike rental stuff. Sintra is a municipality in the Grande Lisboa subregion (Lisbon Region) of Portugal, considered part of the Portuguese Riviera. The municipality contains two cities: Queluz and Agualva-Cacém. The population in 2011 was 377,835, in an area of 319.23 square kilometres (123.26 sq mi). Sintra is known for its many 19th-century Romantic architectural monuments, which has resulted in its classification as a UNESCO World Heritage Site. New Indian Express is arguably the flagship publication incorporating national and international themes and sections on developmental issues, society, politics, literature, ebikes, arts, cinema, travel, lifestyle, sports, business, finance, new-age living, self-development and entertainment. By Namita Tewari New Delhi, Dec 17 (PTI) You could soon see Bollywood superstar Salman Khan pedalling on the newly-built cycle track on the Delhi-Meerut Expressway, promoting a healthy lifestyle as the brand ambassador of the government's initiative to popularise e-cycles. Abdul Rashid Salim Salman Khan (born 27 December 1965), credited as Salman Khan, is an Indian film actor, producer, television personality, singer and philanthropist. In a film career spanning almost thirty years, Salman Khan has received supporting actor awards. He has a significant following in Asia and the Indian diaspora worldwide, and is cited in the media as one of the most well-known and commercially successful actors of Indian cinema. Smart Commute is a program of Metrolinx and the municipalities in the Greater Toronto and Hamilton Area. We help anyone who is going from A to B explore and try out smart travel options such as walking, cycling, transit and carpooling. Our goal is to ease gridlock while helping you save time and money. MYTH: Won’t I get all sweaty? ANSWER: It takes most people 15-20 minutes to build up a sweat. If you don’t want to arrive at your destination all hot and flustered, don’t pedal so hard. If you want to cycle fast, and your journey is at least 20 minutes, wearing the right clothing can increase your comfort, i.e. : ‘wickable’ synthetic underwear, thin fleece mid layers and a windproof jacket made from a lightweight, breathable fabric. Several workplaces also provide showers for their employees. Alternately, look into riding an eBike! 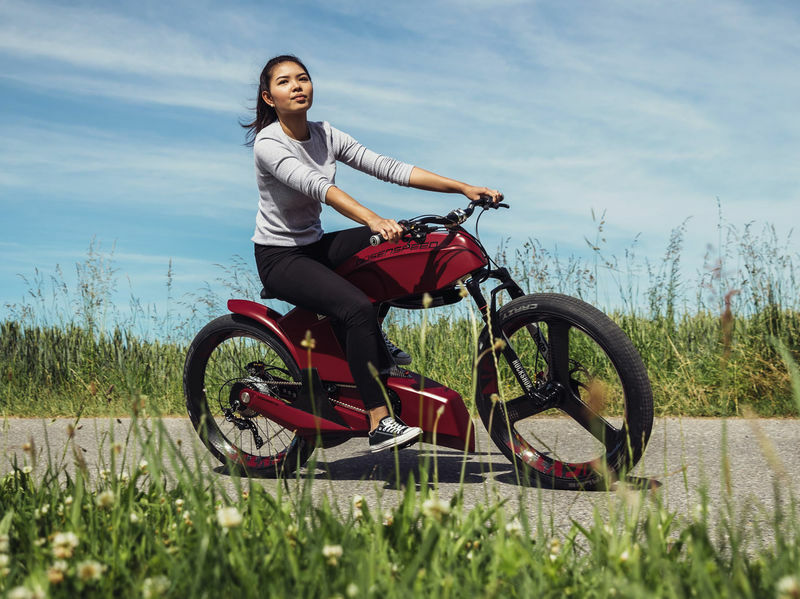 Electric bicycles are here, and there are even electric-capable wheels and batteries to upgrade your own bike to electric power. You can ride to work using the battery, without building up a sweat … then, if you wish, you can pedal it back to a full charge on your way home! San Diego Jewish World is published by Donald & Nancy Harrison, longstanding members of the San Diego Jewish community. Our coverage includes news of San Diego; local, national and international news of Jews, and such feature stories as interest our large group of volunteer writers, like ebikes. NETANYA, Israel — On the Jewish festival of Hanukah, we give thanks for the victory in Jerusalem in 164 BCE of the tiny Jewish army over the mighty Greek-Syrian empire – for deliverance of the many into the hands of the few. Today, we continue to see tiny Israel rise to the massive challenges in the world and we can be inspired by the few. Israel is one of the smallest nations in the world – yet it has a massive positive impact on global health, food and water security, disaster relief, and the economies of developing and developed countries. Here are just a few examples from the last three months. I return to the medical arena to finish, by focusing on just one of those few Israelis who make a huge difference almost every day. Meir Farkash is a legend in his home town Ramat Hasharon. In his four years as a volunteer paramedic for Israeli emergency service United Hatzalah, Meir has responded to more than 2,500 emergency calls (over 300 life-threatening) on his personal pedal-bike. The residents of Ramat Hasharon wanted to honor him, so … they bought him an electric bicycle. (They say:) we understand the customers desire so that we are introducing some great electronic bikes with outstanding looks at low cost. The Guernsey Press and Star is the only daily newspaper published in Guernsey. Guernsey is an island in the English Channel off the coast of Normandy. It lies roughly north of St Malo and to the west of the Cotentin Peninsula. With several smaller nearby islands, it forms a jurisdiction within the Bailiwick of Guernsey, a Crown dependency. The jurisdiction is made up of ten parishes on the island of Guernsey, three other inhabited islands (Herm, Jethou and Lihou), and many small islets and rocks. The jurisdiction is not part of the United Kingdom, although defence and most foreign relations are handled by the British Government. The entire jurisdiction lies within the Common Travel Area of the British Isles and is not a member of the European Union, but has a special relationship with it, being treated as part of the European Community with access to the single market for the purposes of free trade in goods. Taken together with the separate jurisdictions of Alderney and Sark it forms the Bailiwick of Guernsey. The two Bailiwicks of Guernsey and Jersey together form the geographical grouping known as the Channel Islands. Wonder who got to "test" it? Yes! is a non-profit, ad-free magazine that covers topics of social justice, environmental sustainability, alternative economics, ebikes and peace. This technological innovation—in which riders’ pedaling can be boosted by a rechargeable battery—answers many of the excuses people have for not biking: hills, long distances, sweaty clothes, strong winds, hot weather, cold weather, and not being able to carry things because of weight, bike activist Randy Neufeld says. MENAFN is the leading provider of online and wireless financial content and financial technology platforms to leading institutions and consumers around the Arab world. (MENAFN Editorial) Salt Lake City, Utah (December 18, 2017) - The convenience for customers of PowerOn Electric Bikes is double fold as this company excels in the manufacture and shipping of ebikes anywhere in the country. There are quite a few good reasons for owning an electric bike and even more even more reasons to buy this fuel conserving, electrically powered bicycle from the reputed PowerOn Electric Bikes. Based in Salt Lake City, Utah, PowerOn Electric Bikes excels in the manufacture of multiple models of the ebike with an emphasis on electrically powered bicycles that serve various purposes. The Road Warrior Electric Fat Bike is an all terrain ebike from PowerOn Electric Bikes that promises to make commuting convenient in all terrains and weather conditions including rain and snow.